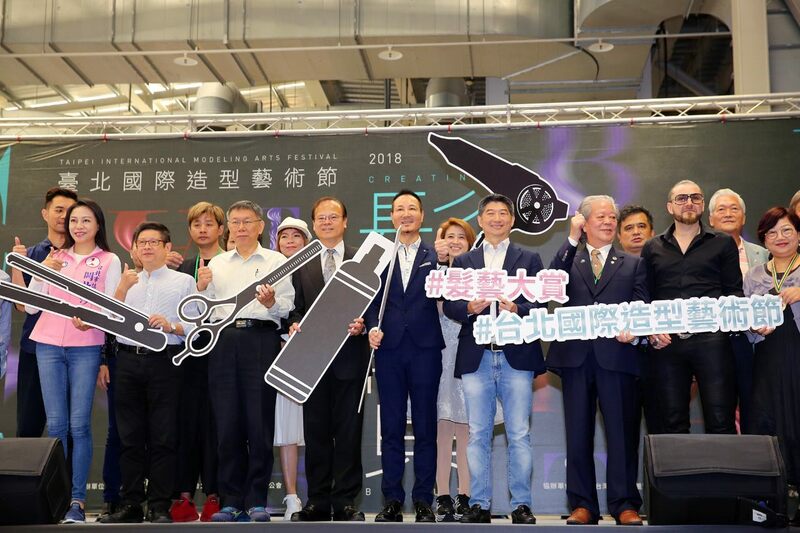 Mayor Ko Wen-je attended the sixth Taipei International Modeling Arts Festival and first Taipei Cosmetics Material Award on November 7. During his address, the mayor noted that the city government offers assistance in venue, MRT, advertisements on buses, and subsidies as well as resource access to help promote Taiwanese cosmetic products as global brands. Ko remarked that the Modeling Arts Festival is now in its sixth year. As one of the backers of the event, the City hopes to create a platform that allows everyone to improve their field knowledge through exchanges and competitions. His expectations for local businesses is to make Taiwanese brands into global brands and establish international chains by using Taiwan as its base. He noted that many companies from the industry have plans to head to mainland China or Southeast Asia. The fact is that rather than offering cash directly, the government provides assistances in the form of venues, as well as ad spaces on bus and MRTs. In general, the government has its own comprehensive promotion strategy, where promotion and subsidies can be arranged. Recalling the international-scale modeling arts festival in 2017, Ko pointed out that the event held with the purpose of promoting the Universiade attracted 1,500 contenders from across 24 nations. This year, the International Beauty and Hair Association (OMC) certified event saw the attendance of roughly 500 participants.